Risotto | Food It Yourself! Yes, I’m still on this rice-related kick. Risotto, if you are unfamiliar is the epitome of fancy when it comes to rice dishes. Mr. Food It Yourself has been creating risotto for my family’s Easter dinner for the last 8 years, and I decided it was time to share the carbtastic delight with all of you. This is the recipe Mr. Food It Yourself uses, although he generally leaves out the mushrooms, and we eat the asparagus on the side. 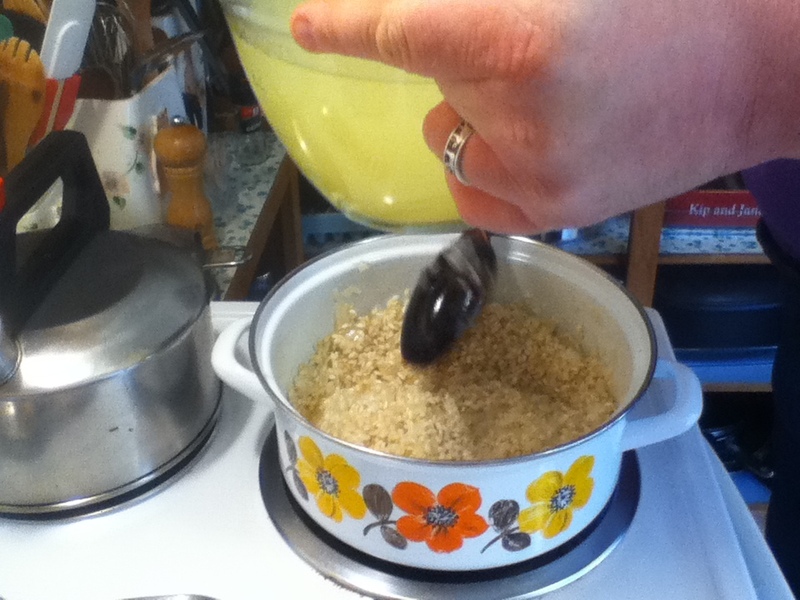 Here are some pictures that catalog how the risotto is made. Mr. Food It Yourself used a bit more onion than the recipe calls for. 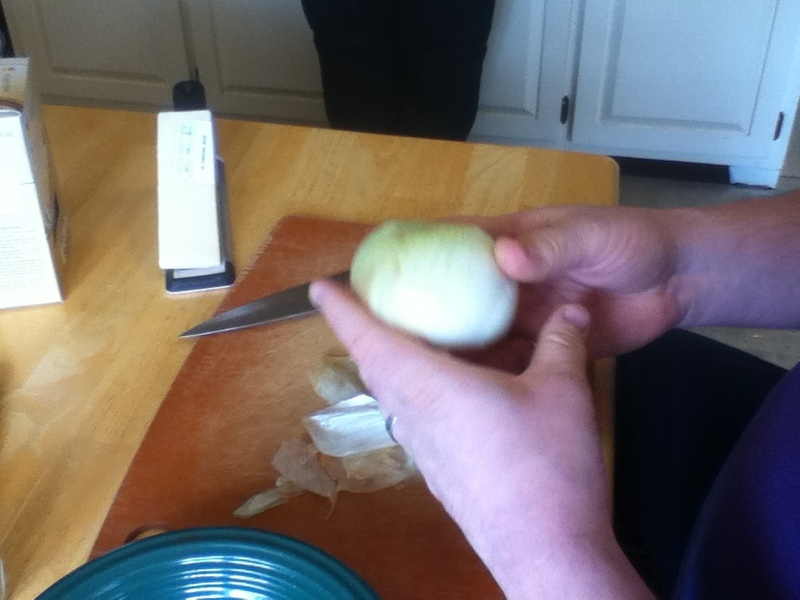 We like onion, so it wasn’t a problem for us. Instead of butter. 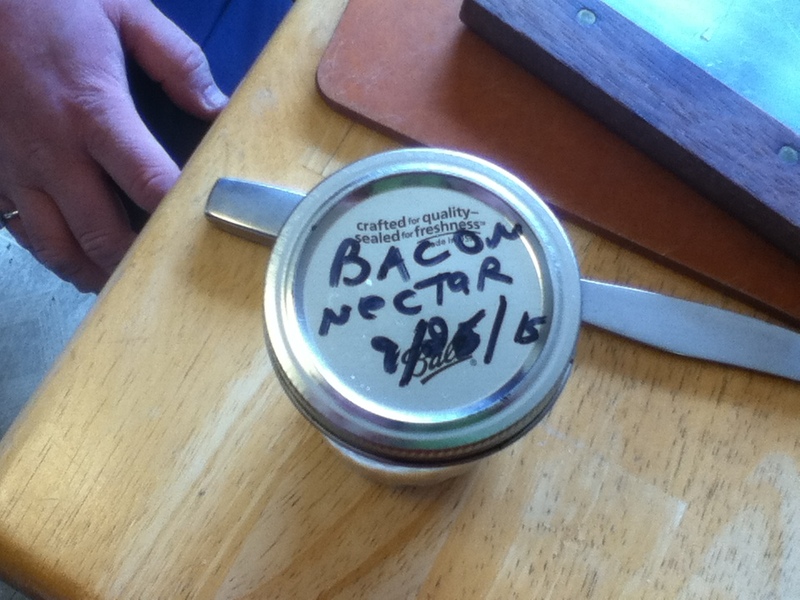 Mom and Dad offered this to saute the onion and short grain rice- unfiltered bacon drippings from a previous meal of BLT sandwiches. Waste not want not, our grandmothers used to say. 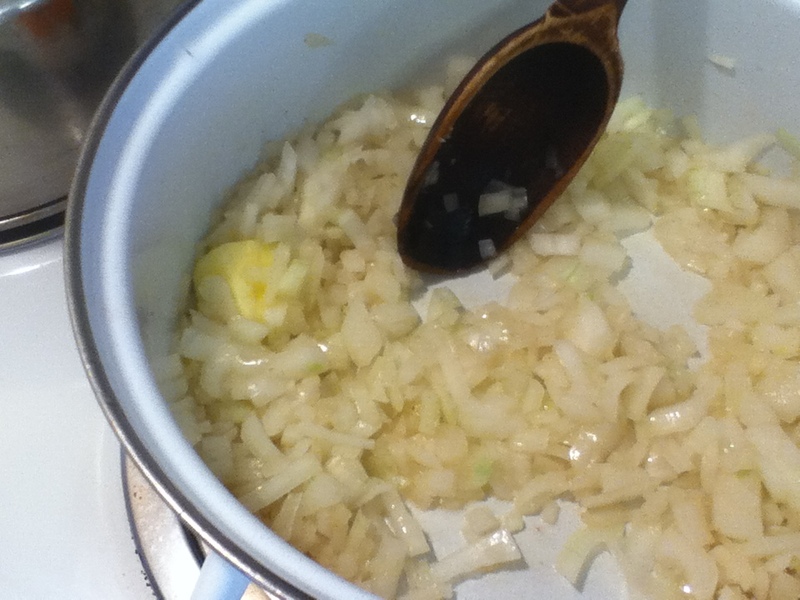 Saute in the butter, or bacon drippings, until the onion is soft and the rice is translucent. Add the broth a little at a time and stir like you’ve never stirred before. Only use wine that you would drink. 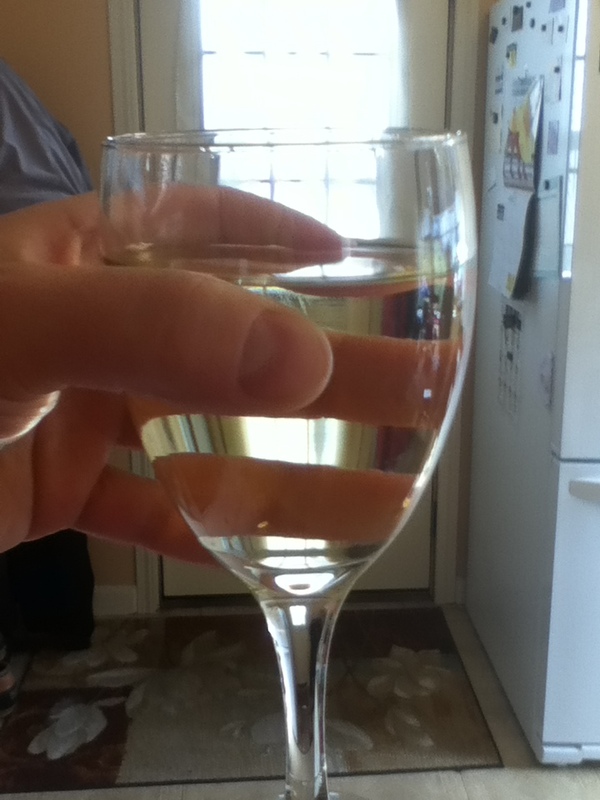 Mom and I made sure the chardonnay used in the risotto was drinkable. before it was added to the rice. 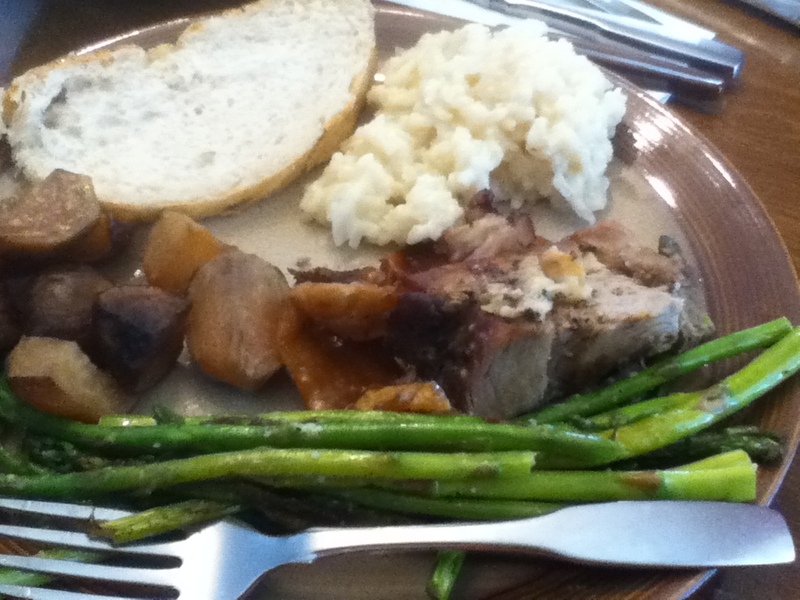 A lovely pile of risotto plated with some roasted pork loin, asparagus, roasted fresh beets and rustic bread. That’s a celebratory meal! Mr. Food It Yourself and I try to control the amount of carbohydrates we eat. However, once or twice a year we give in to a pot of creamy, ricey, deliciousness. You should definitely give it a try. There are plenty of recipes on the internet for you to play with. What’s your favorite DIYet splurge? Share in the comments section!